Some strawberries from Morocco just arrived at stores. The fruit maynot at the peak season, I'm still happy to have them for adding more variety for food choice. This week the weather has turned warm and humid; I am not ready for any rich dessert. 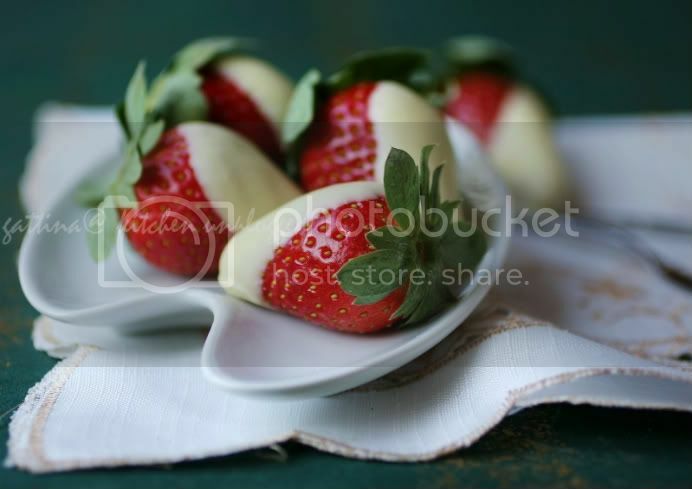 So the strawberries coated white chocolate seem perfect to this weather. 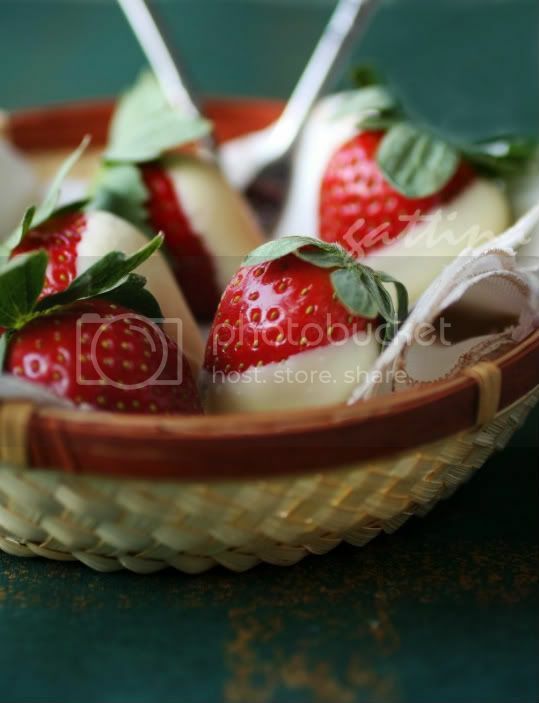 what a delicious idea for a dessert!